“We’re thankful to the Amal project for the funding that helped us raise the bar with our Muslim cultural programming this year. And also grateful to PMX (the Palestinian Music Expo) who helped us raise the bar with our Palestinian programming – connecting us with bands in the West Bank to add to our wonderful array of Palestinian artists, advocates and activists. We’ve been doing these strands of programming for 20 years or more now – but it was with these special connections that we were able to break though this year. So our Act of Independence was, curiously, achieved with the help of closer relationships with others. And the irony is that it’s an award we’ve won for doing more of what we do already. For being most authentically ourselves. Perhaps there’s a lesson in there somewhere. This year our festival theme was ‘The Common Good‘. And our slogan, as you saw this morning, was Me.You.Us. We decided this before our nation was divided by the abandoning of political responsibility that was the Brexit referendum, before Trump was in the Whitehouse – with his refugee and Muslim bans, before Teresa May’s act of hubris with her snap General Election, and before Grenfell Tower. Now, more than ever, we need to be using our festivals as spaces for escape and re-creation, yes, but also for re-imagination – inspiring our festivalgoers to return to their workaday worlds more fully human, more fully who they are – unique, individual, beautiful, precious, gifted, agents of change. We’re so chuffed to get this award from the AIF. We accept it on behalf of all those living lives of beautiful resistance in the face of oppression, occupation and creeping apartheid in Palestine-Israel. And on behalf of all the millions upon millions of peaceful, generous, creative Muslims here in the UK and across the world who are too often scapegoated as ‘The Other’ in our strange and vexed world. 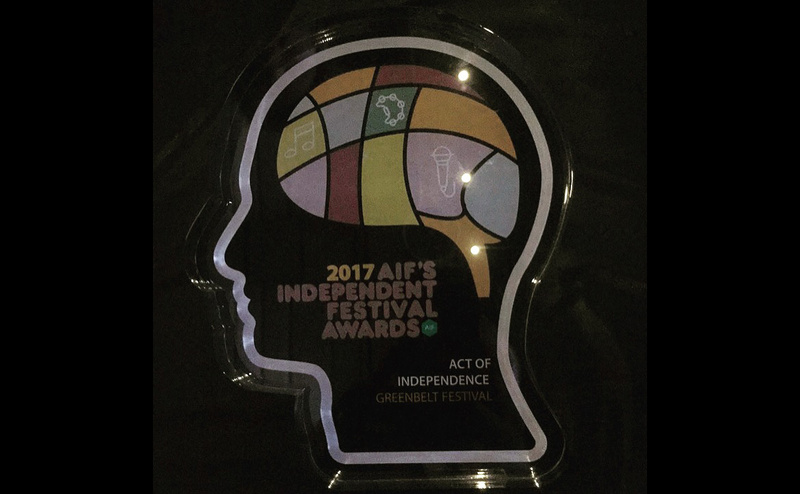 Here are the other awards and nominations from the AIF Awards for 2017.